At its most basic, innovation is about making things better in ways that benefit everyone. Innovation isn't always based on technology. Any idea can be transformed into a simple solution that results in new products or services. Innovations can create entirely new jobs, markets and industries that never existed before. And they can give existing industries a new lease on life by making them more productive and efficient. Innovation can save lives as well as improve them. Insulin—a Canadian innovation—has not only saved the lives of millions of people worldwide with diabetes; it has also allowed the vast majority of people living with diabetes to enjoy a better quality of life and longer life expectancy. Innovation starts with the creativity and ingenuity of people—specifically, people who are properly prepared to apply their brainpower in search of new solutions. That's the basis of the innovation economy that we live in. For decades, the progress we made from innovations gave middle-class families steadily rising living standards: better health, better jobs, better opportunities for their children. But now, Canada stands at a defining moment. We need a comprehensive approach to create jobs and invest in the services that make our lives better—at the very moment that other countries are doing more and moving faster to spur innovation. Let's be clear about what's at stake: Canada is in a global innovation race. We are competing with countries around the world for the most talented people, the newest technologies, and the fastest-growing companies. Jobs and prosperity will go to the countries that succeed in those three areas. We have heard these themes consistently since June, when we launched our consultations with Canadians on how to foster innovation for a better Canada. Over the past six months, we have had the privilege of talking to Canadians from all walks of life. As we have listened to your hopes and ideas, we have also heard about your concern that our country's best days are behind us. That after decades of rising living standards, you no longer feel secure enough about your own future to believe that you can pass on the gains you have made to your children and grandchildren. These sentiments are rooted in fact. They reflect how slow economic growth, which is happening in advanced countries around the world, is felt in every household. Larger bills. Less savings. More debt. That's how middle-class families have struggled to maintain the living standards that, in previous generations, have made people from other countries look to Canada and say: "I want to live like they do." That said, Canadians are optimistic and resilient. We don't accept slow growth as our destiny. In our conversations, many of you shared your ideas for a comprehensive, long-term plan to drive economic growth through innovation. People: Identify ways for more Canadians to acquire the skills and experience that the global and digital economy demands. Technologies: Identify ways for Canada to harness emerging technologies that would create jobs and industries that never existed before, while reinvigorating established industries. You also urged Canada to focus on developing technologies which will drive the next great wave of innovation. Companies: Identify ways to encourage more Canadians to start and grow companies into globally competitive successes. Because if we want more employees, we first need more globally competitive employers. $2 billion in the renewal and expansion of infrastructure at universities and colleges campuses across the country to promote research excellence and allow students, professors and researchers to work in close proximity with partners to turn discoveries into products and services. In the process, they will train for the high-quality, middle-class jobs of the future. Over $1 billion to support the development of "clean technologies" that result in less pollution and more energy efficiency. 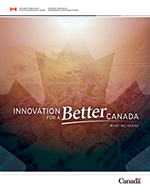 $800 million over four years to strengthen innovation networks and clusters. These investments are intended to catalyze private sector dynamism, bring a critical mass of stakeholders together and connect their ideas to the marketplace. Our country is blessed with an abundance of natural resources. But we can no longer prosper only from the output that comes from our natural resources. We must also prosper from the energy and ingenuity that comes from our people. That's how Canada's economy will outperform the economies of the rest of the world. In the coming months, as we put your ideas into action, let's work together to foster innovation for a better Canada. Canada has thrived over the past half century. But our country won't automatically do the same over the next half, especially if we stay the course. 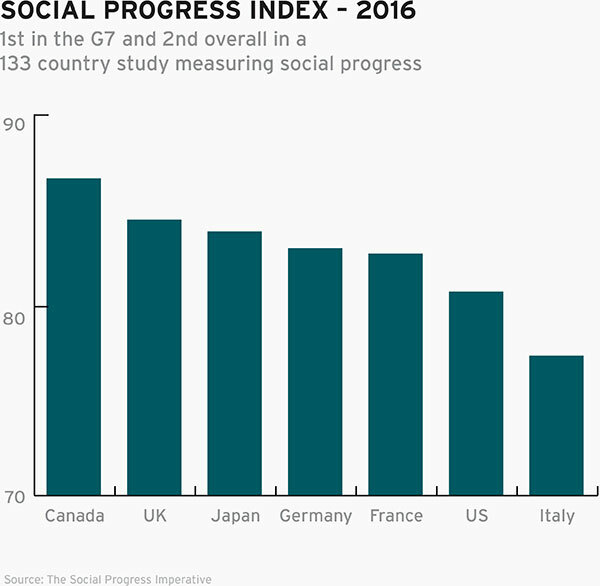 That's because Canada and other advanced economies face new pressures. Four major challenges define Canada's future as our country becomes more open and interconnected within the global community. The flip side of these challenges are opportunities that will make innovation necessary to create and secure good-quality jobs for Canadians. Slow growth: The global economy is growing slowly. In the past, Canada relied on increased trade and high commodity prices to boost its economy during periods of slow growth. We also relied on more people to join the workforce. Over the past decade, Canada and other advanced economies have lowered interest rates and tax rates in a prolonged effort to stimulate growth. But those policies have not been sufficient to ensure the strength of the middle class. Meanwhile, Canada will continue to have fewer working-age people as our population ages, resulting in lower growth potential. Technology: The world has entered a new industrial age. Technology is digitizing and automating every aspect of our lives—and it's happening much faster than anyone ever imagined. Technology is challenging every industry and every worker. New jobs and companies that never existed before are being created as others are being phased out. As the Internet and other technologies make communications instant, constant and affordable to people in every corner of the globe, they are reducing the competitive advantages of Canadians and citizens of other advanced economies. At the same time, they are empowering people in emerging economies. To respond to the pace of technological change, Canadians need to stay as open and flexible as possible. We will need to adopt new technologies and learn the skills necessary to prepare for the jobs of the future. Globalization: The competitive pressures of the global innovation economy are more intense than ever. Developed and developing economies alike are putting in place aggressive strategies to position their economies for competitive advantage in the development of the next great technologies, products and services. Climate change: This defining issue of our generation is reshaping how countries around the world meet their energy needs and how they think about growth. Climate change will influence how Canada and other countries manage natural resources in a world of both rising energy consumption and rising climatic risk. 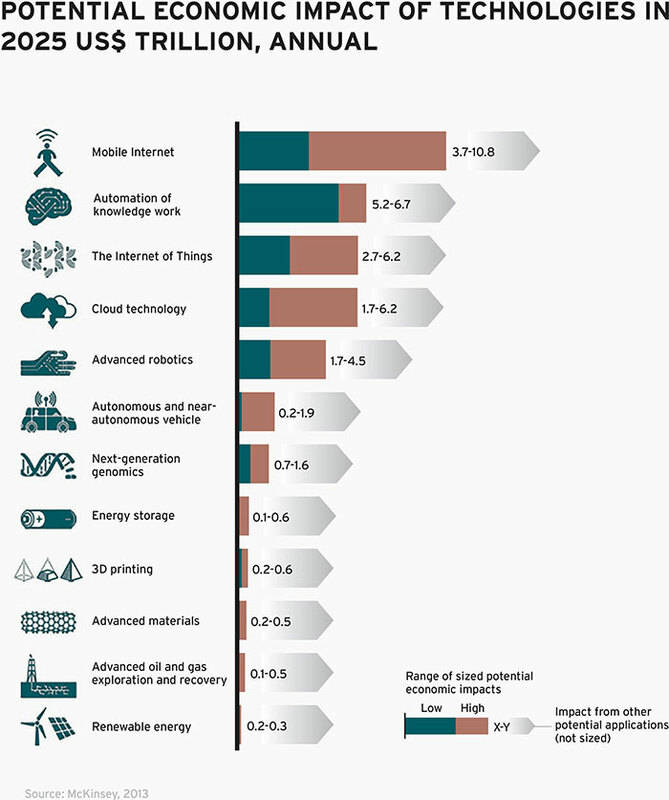 Those focused on clean growth are already driving the next great wave of innovation. Many countries are transitioning to a low-carbon economy based on "clean technologies" that promote energy efficiency, reduce pollution and produce cleaner air and water. This shift to clean growth has the potential to create jobs as well as new markets. These days, the merger of globalization and technology means companies can source their talent, goods and services from anywhere in the world. And when companies look to invest, they are not always looking for the lowest-cost jurisdictions. Instead, many companies seek the most innovative economies, with the most creative and entrepreneurial people who can turn ideas into solutions. That's why developed and developing countries alike are investing in developing the skills of their people to drive economic growth through innovation. And that's why now, more than ever, we need Canada to be at its absolute best. Now is the time for us to invest more in our people and build on our strengths to turn ideas into action. The Innovation Agenda is a plan to encourage activities that lead to better jobs for the middle class—and those working hard to join it. It's a plan to make Canadians better off in the future through the development of better skills training, better research, better opportunities and better living standards. Countries around the world recognize the importance of innovation in unlocking the hidden potential to grow their economies. They are acting quickly and making significant investments to support innovation. Canada is competing in a global innovation race. We must think big, aim high and act boldly in this race to the top. Over the past six months of public consultations, more than 100,000 Canadians have shared their insights on how to strengthen Canada's innovation economy. Through social media platforms such as Twitter, Reddit and Quora, Canadians from coast to coast have shared more than 1,500 ideas. Ministers Bains, Duncan and Chagger conducted a series of round-table discussions with Canadians. So did 10 respected leaders, all innovators in their own right, who were appointed by the Ministers to reach out to Canadians from all walks of life. Together, these engagement leaders hosted 28 discussions across the country between July and September 2016. The leaders reached out to a broad cross-section of society. The people they consulted included representatives from the private sector, universities and colleges, not-for-profit organizations, indigenous leaders and social enterprises. Representatives from the provinces and territories also participated. Janie Beique is Senior Vice-President, Natural Resources, Industries and Consumer Goods at Fonds de solidarité FTQ, the investment arm of Quebec's largest labour union. 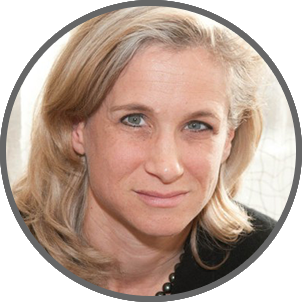 She is a board member of the Canadian Venture Capital and Private Equity Association and is a member of the advisory committee on financing to small and medium-sized businesses for Autorité des marchés financiers, Quebec's financial-markets regulator. For many people, innovation is inventing a break-through technology in a garage or finding a cure for a disease, but for many, including me, innovation is about making things better, faster, smarter or more efficient. It can certainly be a new product or service to improve the lives of people but in many instances it is achieved by improving the process, the way a product is delivered to a client, the way a company is operated, or by reducing or recycling waste and more. In many instances, our own staff have the best knowledge on how to improve things. Innovation simply requires an invitation to do it and collaboration amongst everybody to make it happen. 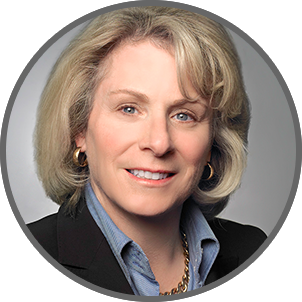 Dr. Elizabeth Cannon is President and Vice-Chancellor of the University of Calgary. She serves as chair of Universities Canada, who advocates on behalf of the country's 97 universities and a member of U15, which advocates on behalf of the country's research universities. She is also chair of the Canada Research Knowledge Network, a partnership of Canadian universities dedicated to expanding digital content for academic research. She is a member of the Science, Technology and Innovation Council, an independent board that provides policy advice to the Government of Canada. Research universities are connectors and catalysts that work with government, business, NGOs, and other institutions to build collaborative teams and partnerships that carve pathways for innovation leadership. By building capacity through talent development, facilities and partnerships to address challenges and develop new ideas, research universities can help fuel innovation into the future. The innovation agenda provides the opportunity for research universities to harness capacities and be solution focused. Research universities actively seek opportunities and challenges that our research capabilities can address and solve, which is essential to maintain and grow Canada's economic prosperity and quality of life. 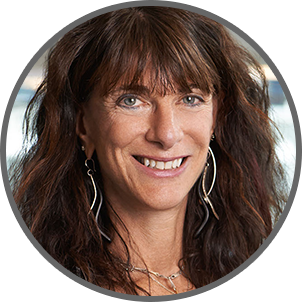 Valerie Fox is the Chief Innovation Consultant at The Pivotal Point, a consulting firm that provides advice on entrepreneurship to academic institutions, government and small to medium-sized businesses. She is co-founder and former executive director at the Digital Media Zone, a business incubator at Toronto's Ryerson University. Innovation is a promise of better things, achieved by continually striving to be better, together. Dr. Arvind Gupta is a distinguished visiting professor at the University of Toronto. 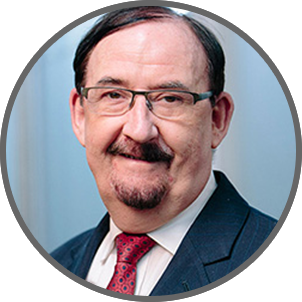 He is the former president and vice chancellor of the University of British Columbia and former CEO of Mitacs Canada, a not-for-profit organization that works with universities and industry to design and deliver research-based training programs. Since 2012, Dr. Gupta has been a member of the Science, Technology and Innovation Council, an independent board that provides policy advice to the Government of Canada. Austin Hill is co-founder and CEO of Blockstream, a provider of Bitcoin and the blockchain technology that is behind a new digital currency. He was a venture partner with Montreal Startup and helped create Real Ventures, a venture-capital firm focused on funding early-stage companies. He co-founded Zero-Knowledge Systems, a company focused on cypherpunk technologies for privacy, anonymity and electronic cash. 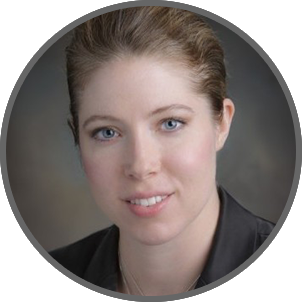 Dr. Sarah Lubik is the Director of Entrepreneurship at Simon Fraser University in British Columbia. Her role is to develop, align and accelerate the university's innovation ecosystem, which includes entrepreneurial education across disciplines, early-stage incubation of startup companies and the commercialization of university-based research. She is also a certified business coach and co-founder and director of Lungfish Dive Systems, a start-up company focused on underwater breathing systems for divers. Innovation is matching new ideas and technologies to useful applications; and entrepreneurship, the next step, is finding models to create sustainable economic and social value from those innovations—as well as having ambitious, curious mindset needed to do it. Dr. Maurice Moloney is Executive Director and CEO of the Global Institute for Food Security. Dr. Moloney is also the Natural Sciences and Engineering Research Council of Canada/ Dow AgroSciences Industrial Research Professor at the University of Calgary. 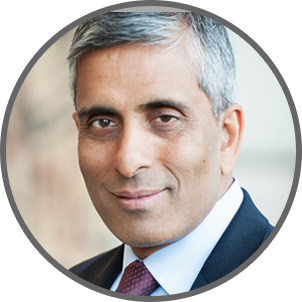 He founded SemBioSys Genetics Inc., an agricultural biotechnology company, and served as its president and then chief scientific officer between 1994 and 2010. 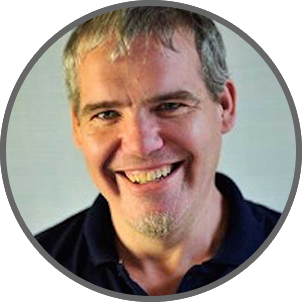 Mark Podlasly is the founder of Brookmere Management Group, which helps Indigenous and local communities identify and develop economic, social and educational opportunities. 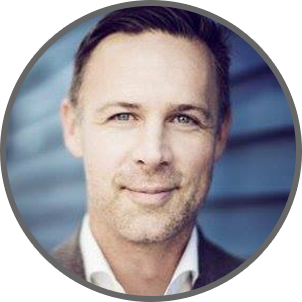 Mr. Podlasly is also co-founder and CEO of North Pacific Energy Ltd., a Canadian wood biomass energy company. 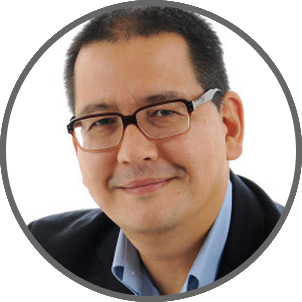 Mr. Podlasly is a trustee at Tribal Sovereign Wealth Fund, a senior teaching fellow at Harvard University, a fellow at Action Canada and a member of the Nlaka'pamux Nation. 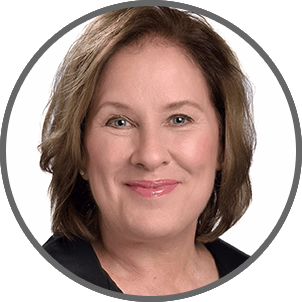 Dr. Ilse Treurnicht is the CEO of MaRS Discovery District, a leading innovation hub in Toronto. She is a member of the Science, Technology and Innovation Council, an independent board that provides policy advice to the Government of Canada. She was previously President and CEO of Primaxis Technology Ventures, a venture-capital fund focused on startup companies. Tyler Wish is the co-founder of Sequence Bio, a company based in Newfoundland and Labrador. The company focuses on tailoring ways to diagnose and treat disease based on a person's genetic profile. Prior to co-founding Sequence, Mr. Wish was founder and president of Research Avenue, a contract-research company that provided outsourced development services to health-service providers and life-sciences companies. Read the summaries of round-table discussions by each engagement leader. During these consultations, Canadians told us what they see as priority actions in spurring innovation. Three mutually reinforcing themes emerged from these conversations: people, technologies, and companies. Innovation starts with the creativity and ingenuity of people, particularly people with the right skills and experience to drive innovation. Why? Because as technologies become commodities that are widely available to everyone, the only competitive advantage for countries—and businesses—is the distinctive talent and creativity of their people. Canada needs more people in science, technology, engineering and math (STEM). That's because the number of jobs in the economy that require those disciplines will continue to grow. There is not a single industry that those fields don't touch anymore. Canada needs to keep pace with demand for people with the skills to succeed in the digital economy. This includes encouraging more women and people from under-represented groups to prepare for careers in science, technology, engineering and math. To address these skill gaps, Canadians voiced their support for a strategy to promote the development of coding and other digital skills, particularly in school-aged children. We were told that is important to get young Canadians interested in science, technology, engineering and math early in their lives for them to have the skills needed to succeed in the future. Canadians indicated that the country must do a better job of preparing people for a rapidly changing job market. That training should start early in the lives of young Canadians and continue throughout different stages of life. In particular, university and college students should have access to more work-integrated learning. Programs such as internships, apprenticeships and co-operative education programs should be expanded across the country. These programs help students integrate more quickly into the workforce after they graduate. Canadians have identified a shortage of certain skill sets in the labour market that hinder the innovation and growth of companies, which can limit job creation. That's why more needs to be done to make Canada a destination of choice for the best and brightest people from around the world. Too often, potential investors in Canadian companies have been discouraged by slow and unpredictable immigration processes that create business uncertainty and risks. Representatives of the business community made it clear that attracting top talent from around the world actually creates more jobs for Canadians. One key hire attracts many others. This critical mass of talent enables the start-up of new companies and the scale up of others, which create more jobs for Canadians. In the Fall Economic Statement, the Government of Canada announced the launch of a Global Skills Strategy. It would make it easier for Canadian companies to recruit highly trained people with in-demand skills. Faster processing of work permits and visas. For low-risk, highly skilled workers, processing will be done within two weeks. Removal of the requirement for a work permit for people coming to Canada to work for 30 days or less. A dedicated service-delivery channel for global companies that make significant, job-creating investments in Canada. A dedicated service-delivery for high-growth companies to access global talent through the Temporary Foreign Worker Program. Improving the immigration system will allow Canadian companies to attract global talent that creates more jobs for Canadians and stimulates more investment in the economy. Ottawa should take concrete steps to improve matters by collaborating with post-secondary institutions to support specific digital innovation program streams and skills training including making more funding available. Continued focus is needed on developing skills locally and attracting talent globally. More investment is required in high school and post–secondary programs that can encourage and train students in Science, Technology, Engineering, and Math related fields and hybrid skills. There is also a need for improved immigration programs, to help Canada better attract and retain top talent. Canadians understand that new technologies will continue to transform all aspects of our lives. They want the country to be ambitious in the way it harnesses emerging technologies to achieve big things that benefit all Canadians, both socially and economically. There's a growing recognition that all sectors are, or have the potential to be, high-technology sectors. The reality is that technologies like artificial intelligence, additive manufacturing, quantum computing and devices, advanced sensors, new materials are transforming everything from agriculture and mining to medical devices and computing equipment. Canadians made it clear that the country must focus on developing emerging fields that have the potential to drive innovation across all sectors of the economy. Technology has the potential to create the next generation of globally competitive companies and the good-quality jobs of the future. Budget 2016 committed $800 million over four years to strengthen innovation networks and clusters, a significant investment with the potential to accelerate concentrated areas of expertise in industry, academia and government and make the most of our best assets across regions and sectors. By supporting Canada's top clusters, we have the opportunity to speed up investment in and adoption of new technologies, and to forge new and stronger ties between firms of all sizes, which will create more good-quality jobs. To strengthen innovation networks and clusters, many Canadians favour an approach in which government makes targeted, high-value investments in areas of greatest promise. Investments should draw on regional, technological, and sector-based expertise. We also heard that if Canada wants to build world-leading and globally competitive innovation clusters, this country must do a better job of translating our science and technology strengths into commercial activities, including stronger, more coordinated partnerships among university-based researchers, industry and government. Canadians stressed the active role that government can play in fostering innovation by setting ambitious, big-horizon goals, then making strategic investments and targeting resources in specific areas to fulfill that mission. In a previous generation, the United States was inspired to put a man on the moon. That mission launched breakthroughs and inventions that went well beyond the space program and fuelled decades of innovation driven by science and technology. Canadian Clusters, already successful, should be able to accelerate growth with periodic and measured government assistance, and well-executed technological, scientific vision. Exceptionally dense innovation centres appear to have the greatest national impact. For Canada, this means investing heavily in an 'anchor' innovation cluster, with the scale and brand to attract and retain globally mobile capital and talent, which will disproportionately impact our national economy. If Canadians want more jobs, they need more employers. That message came through loud and clear during public consultations. In particular, Canadians said more needs to be done to support entrepreneurs who start companies, but face considerable challenges growing them into globally competitive firms. Entrepreneurs have pointed to the example of governments in other countries that use their purchasing power to help Canadian start-up companies grow. They say the Government of Canada, as the country's largest purchaser of goods services, could provide start-up companies with opportunities to develop their solutions and bring their innovations to market faster. In particular, Government of Canada has the opportunity to be an early adopter and first buyer of promising solutions. In fact, many entrepreneurs emphasized the advantage of having the Government of Canada as an anchor customer when they go abroad in search of new clients. Many entrepreneurs pointed to the role that the United States government plays in driving innovation as a buyer of goods and services. Under the Small Business Innovation Research (SBIR) program, start-up companies win contracts with the U.S. government, which allow them to develop and test the most innovative solutions. Representatives for businesses noted that a Canadian version of the SBIR program could address the need for early-stage companies to access the upfront working capital they need to speed up product development. Canadians have observed that increasing the availability of growth capital for Canadian companies is key to helping them scale up, export, and create jobs. Canadians told us that we need to do more to support companies in turning an idea into a commercial activity, especially for those with later-stage growth. If not available in Canada, companies will seek capital abroad, taking the jobs they create with them. Canadians say more needs to be done to encourage the right financing mechanisms that support companies as they bring their ideas to market. In particular, making patient capital more available and doing more to address the needs of companies in the later stages of growth. Encourage procurement processes by provincial and federal government that supports local technology companies and solutions to encourage retention of companies and talented entrepreneurs. The emerging-growth investment gap in Canada can be solved. First, improving the capital supply to underfunded growth-stage companies can have an immediate impact by accelerating growth and shortening exit timelines. Second, adequately funding the next generation of companies throughout their lifecycle, not just at the early-stages, can enable them to become market leaders and increase the frequency of large-scale outcomes. Canadians have clearly expressed their desire for bold action and ambitious goals that will drive economic growth through innovation. They want better skills training, better jobs and better opportunities that will lift the living standards of all Canadians. They want a comprehensive approach to job creation—one that focuses on how to get more people to start companies and prepare Canadians for the skills that 21st century jobs demand. In many countries that owe their growth to innovation, government plays an active role in nurturing that success. The Government of Canada is committed to thinking big, aiming high and acting boldly. But having government act alone will not deliver the meaningful results that Canadians expect. Success depends on Canadians from all walks of life playing a role in developing a wide range of partnerships. Businesses, universities and colleges, and citizens must work alongside all levels of government. Only then will our country create the high-quality jobs that strengthen the middle class and lift the living standards of all Canadians.